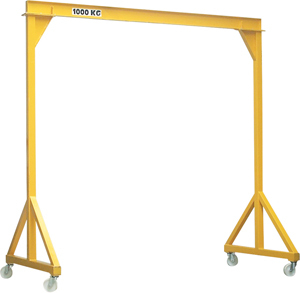 Workshop gantry crane movable under load with 4 caster wheels and an I beam profile. PORT is a tool for intensive use with high robustness. manual shifting of the load only.